Ha! Bet I caught your attention with that title! There is something mysterious about gold other then its allure as a wealth asset. Sure you can make jewelry out of it, coins and a little more useful items like circuit boards, but are there other, a little more hidden, capabilities of the stuff? Some people think so. If you search the net, you’ll find a huge collection of postings that reference lectures given by the late David Hudson or Laurence Gardner. But it’s pretty rare to find people that have taken their information (teachings) and applied them in order to take it to the next level. I guess there are doers and watchers in this world just like there are readers and TV viewers. From looking at the ratio between people who watch TV verses those that don’t, I would be willing to bet that a huge majority of the people are watchers rather than doers. So, I decided to take a little walk using Google to see if there was anyone in the blog-o-sphere that is actively reproducing high spin M-state elements from sea water. I Googled “ORMUS making process -Sunwarrior” on Google blogs and started looking. (as a side note, I like the fact that Google allows you to look for postings that don’t contain words. Sunwarrior has a product called ORMUS greens that has a big following.) After a few hours and poking around, following links and scanning through to see how they referenced the word “ORMUS”, I have to conclude that no one is actively blogging about making ORMUS. To join the WhiteGold list send a message to WhiteGold-request@zz.com with the subject Subscribe. That’s just a shame. There are lots of products where people make versions of White Gold Powder and they must have learned how to perform this operation from someone somewhere. You’d think the process would be echoed on the net. Maybe you’ll find it useful and maybe I’ll want to take a deeper look at some of the sites that Google found someday soon. Thus, what follows is a little outline of what I found. 1) This website, White Powder Gold lab is a blog that talks a lot about Ormus and monatomic elements, but doesn’t seem to provide any new content. They do have a good selection (store) of books. Looks to me like they’re just trying to sell books. Maybe they’re making enough money selling books that they don’t need to investigate ORMUS any more. 2) Another site called The Bamboo jungle has a link to EMR Labs, LLC where someone outlines how to make ORMUS. 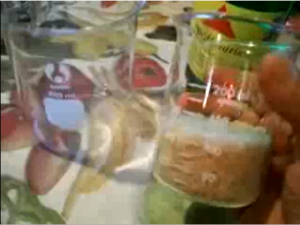 But the recipe is like all the others that simply precipitate minerals from sea water. There is no mention of anything that would lead me to believe they precipitated anything unusual. There is no mention of high-spin state or metaphysical (or any) interactions with the stuff. 3) Here is another blog, LabVirus that simply echo’s old David Hudson stuff. The topics they cover sure don’t make me feel good. Didn’t like the name either and almost didn’t visit figuring I’d just stumble across another virus or something. 4) Here is another, Ormus Living. Looks like the blog is a single article. Ha. I believe I’ve seen this signature in Ormus forums – Denis Of Oz. Unfortunately, doesn’t look like he liked blogging. Maybe I’m just confusing the name with someone else. However I think I am open minded enough to look at the content within the container and to discern for myself what is real and was isn’t. It totally made me smile. I wonder if that container is half empty or half full? 6) Here is a site that I’d hoped to find something at, yet, just more scare tactics about heavy metals and toxins. I always find it a little funny when someone assumes that lye is always toxic to the body. Its just sodium hydroxide. That stuff is used to make soap. People have been using it on their skin for generations, and what you put on your skin is absorbed in the body. Also, these people are precipitating elements found in edible salt. If there were toxic compounds in these salts, we would have found out a long time ago! 7) Here is a blogger that’s caught my eye; RawketScience. This person has done a really nice write up on Ormus. It’s short and to the point. I like the fact that she’s referenced FOOD as an Ormus source. (Might touch on that in a later posting…) and I think I could spend some time on this blog. So through my m-state works i found a lot of the techniques had some flaws to them. So i did some work on them. I don’t mind sharing this information if anyone is interested. If you find anything wrong with this work or ways to simplify please speak up. If you would like to post your methods, please do so. There are a good few different methods i will post here. Some of these methods are from others work. So i surely do not claim them to be of my own. How to make M State gold from Dead sea salt. 2 Add 2 cups of distilled water. 3 Now have sea water from dead sea salt. 4 Pour sea water through a coffee filter to filter out scum. 5 Pour the sea water into a stainless steel pot. Slowly, drop-by-drop,add the food grade lye solution WHILE STIRRING. 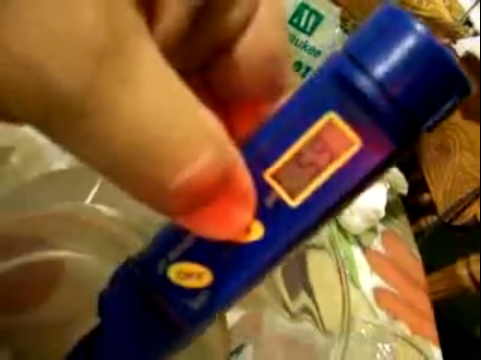 Every ten drops or so, test the pH. You might want to take at least 3 to 5 samples from different regions of the liquid. 6 bring the pH up to 9.5, then stop to be on the safe side. If you are using a pHmeter, stop just before you get to pH 10.78. 7 A white precipitate which includes m-state elements will form. heavy metals. It is alleged that the Dead Sea salt water does not produce any Gilcrest precipitate. This has not been proven and should not be assumed. 9 Once you are at the correct pH, stop. 10 Pour the solution into a clean glass jar or test tube. 13 Add distilled water to the precipitate (filling the jar), stir thoroughly, and let it settle again for at least 4 to 5 hours, preferably overnight. Put the jar inside of a metal cookie jar inside of another metal jar . Steal wool between the jars will keep the solution away from magnetic fields. 14 Do 12 and 13 4 times to wash the material well. Using distilled water each time. 15 This step use to be to boil the solution for 5 minutes. Boiling is probably not the best idea unless you are using straight sea water and not using the dried sea salt reconstituted in water. 16 Take ph to 12 . 17 Filter material and keep liquid. 18 Use vinegar to bring the ph to 10.7 . Jello like precipitate will form. 19 To further filter the material to dry material m state elements. 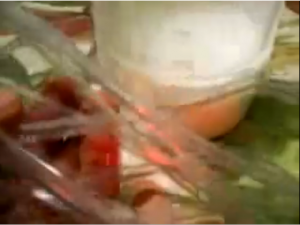 This procedure removes the Mg(OH)2 by dissolving it below pH 9. First get some HCl (or muriatic acid) and coffee filters. 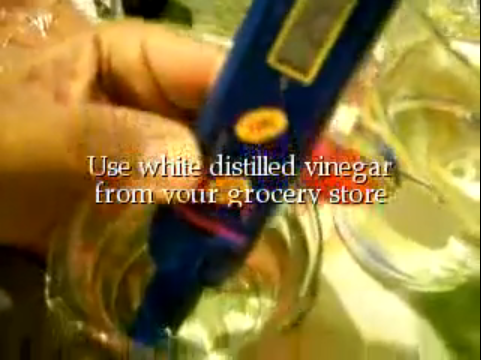 A safer alternative to HCl is distilled white vinegar. one or two hours. This forms a dry powder. water. 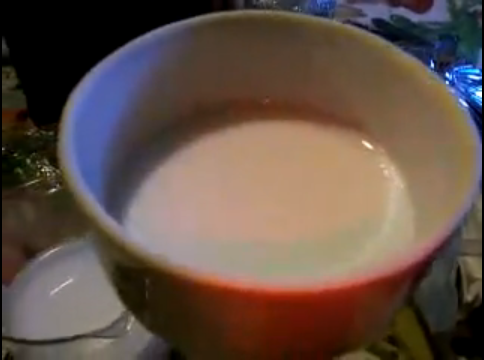 For example, one liter of water for one cup of powder. the pH to 5 or 6. 9) The Book of ThoTH has an interesting historical mix of information about “ORMUS”, but for some reason, I think they’re over complicating things. Someone did a bunch of reading, but did they make ORMUS? I doubt it. In the end, maybe I’ll find a community on the net that doesn’t hide behind what could be, but publishes what is. Meanwhile, I’ve got some new books to read and another batch of sea salt to mix up. Hopefully this time, I’ll get to the ‘Jello’ that is mentioned in the above directions. 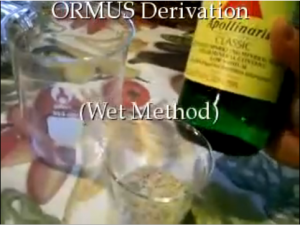 ORMUS, Is this the wet method? A couple years ago I played around with trying to distill M-State material from Dead Sea Salt and Celtic Sea Salt. I’d read the David Hudson lectures a number of times and searched the web for any sources that might have reproduced what David discovered. One of the sources I came across was the website SubtleEnergies.com. After digging around a bit there, I found the Wet-Method Procedure for isolating M-State from these salts. The procedure can be found here. After reading a bunch of sites and seeing that the directions were all very similar, I figured that the directions that I found were ‘good enough’ for me to get the job done. Then, I set out to follow the instructions explicitly. To sum up a couple months worth of testing, I never got to what I felt was M-State material. I remember coming across a statement from David Hudson that the material was like cow sperm (he had a farming background) or a gelatinous concoction. All I came up with was a milky white substance. It left me a little discouraged. So, I packed up the chemistry set and figured I’d wait until the time was right and keep my eyes open. Well, it just so turns out that I stumbled across a video on YouTube where it looks like HealingMindN is able to get to the point that I wanted to get to. 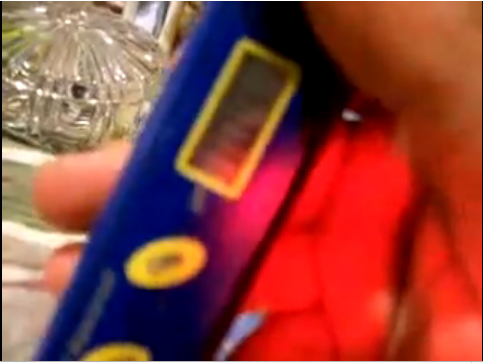 Here is his video (also shown below). If you’ve been looking for a good video on the wet-method M-State distillation process, this might be it. Special note: when watching the video, he adds music about 2:23 in. Fortunately, he’s funneled it to the one speaker and his voice is on the other. If you want to hear him without the interference, just turn off the speaker playing the music and turn up the other. Here are the steps as outlined by the video. I’ve made a few screen shots with the idea of lining up the wet-method with what it is that HealingMindN shows. Mineral water. Turns out he’s bought a German import, Apollinaris water. A quick search on the net finds an Amazon source. Search Amazon for product number: 030494881229. So, that part holds up. In any case, he claims that 2 cups distilled water plus 1 teaspoon of Epsom salts may be substituted if the water is not found (video 00.15). Half cup Celtic Sea Salt. That stuff looks like this (above). Search Amazon for product number: B000SWVPV8. And, again, HealingMindN suggests that other sea salts may be substituted such as Lima Atlantic or Dead Sea Salt. I believe he’s saying that he’s adding 450 milliliters to the beaker too which he adds the salt. After stirring for a moment, it sounds like he says he’s going to let it sit overnight. Great. That is a step that I do not remember from the Wet-Method procedure written up at SubtleEnergies. Yet, maybe it doesn’t have to sit overnight. Looks like the starting pH of the salt water is 5.9. 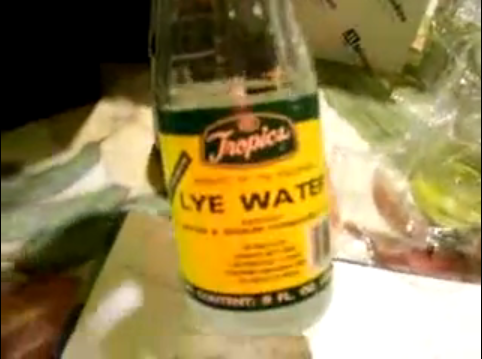 And now for his setup – food grade lye water. Looks like he’s using Tropics Lye Water. Turns out that Amazon also shows this product. He claims it’s about 12.7 pH. Anyone should be able to validate that pretty easily. It looks like at second 2:10 in the video, he’s got 140 milliliters of Lye Water that he’ll be using. Looks like he continues to add the lye solution until the Sea Water hits 10.5. He points out that it is point 1 to go from stop. Thus, he’s looking for 10.6 as the stopping point for this pH swing. …For the processes detailed in the book, a 1:8 strength works very, very well. That is ½ cup of lye (NaOH) crystals mixed as described in the book into 1 quart of distilled water. This would be about 125 grams per liter of water in the metric system. At 3:17 in the video, The participate has formed, it’s mainly Magnesium Hydroxide Lye … and a little M-State. He is now at pH 10.6. 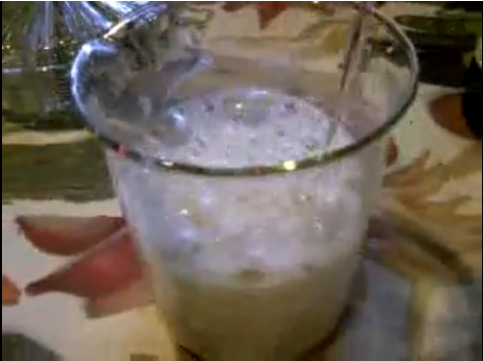 Overall, he’s added about 140 milliliters of lye just like he did last time and he’s going to let it sit overnight. So that it settles. He makes a comment to not use anything but glass so as to not disrupt the M-State material. Here, he shows his Faraday cage that he uses to place the M-State material in overnight. His faraday cage is two cookie containers where the center one is lined with steel wool where there is a brown paper bag inside of that. His participate container has cellophane with a rubber band holding it on. It might be work investigating this a little more. If M-State is sensitive to electromagnetic energy, shielding it might be a good idea. 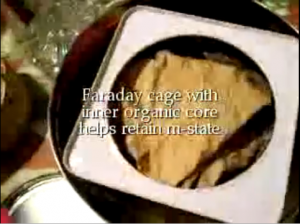 Yet, I’m not sure how well his box is working, for one of the key elements of a Faraday cage is grounding. Yet, let’s continue. 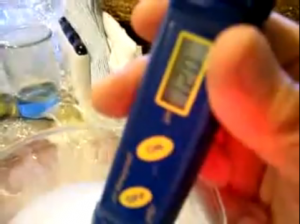 He shows about 300 milliliters of precipitate and the covering liquid has a pH of about 10.4. He comments that he’s going to wash the precipitate three times. Here he shows the plastic tubing that he’s going to use to remove the liquid on top of the precipitate. Here we can almost see the brand of distilled water that he’s going to use to water the precipitate. He fills the container up to about 600 milliliters again so that he can let it settle again overnight. At this point I have to assume that he goes through the washing process all three times before coming back to the video. Thus, at this point, he’s just about doubled the water content in his beaker three times and removed the substrate covering the precipitate as he outlined. If he lets it settle overnight each time, a few days have passed. He then jumps straight into the boiling process. We can see from his text that he boils for 5 minutes. 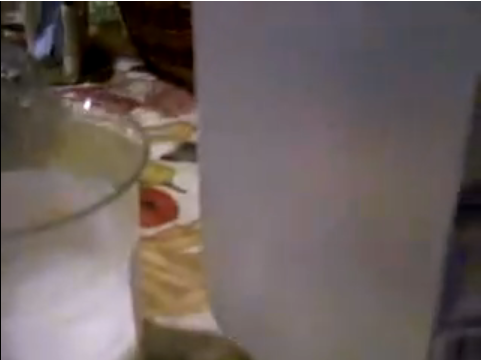 Here he shows the precipitate after boiling and he’s going to take it to pH 12. He stated that last time it took nearly 50 milliliters of Lye water to perform that task. 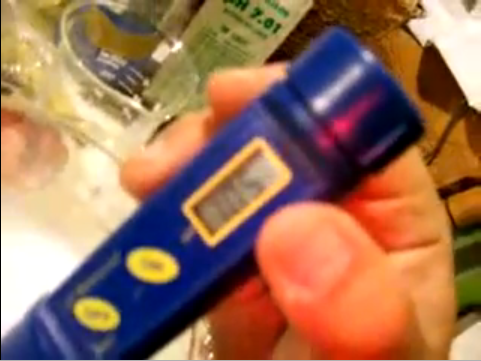 Here he shows that he’s raised the pH to 12.0. At this point, the M-State will be re-dissolved in solution. Shortly after showing the pH, he comments that he should have drained off more substrate (the clear liquid on top) for he recognizes that he has more volume than what he was expecting. Here we see the filter that he’s going to use to remove the precipitate leaving just the clear liquid holding the M-State material. At this point, I wish I knew what that filter was. I’ve searched around on some different chemistry supply websites, but when you don’t know what you’re looking for, it makes things a little harder to find. Hopefully, I’ll find a picture that matches what he’s using. Here is a good picture showing his flask with the rubber stopper holding the funnel filter. What gathers in the flask (the filtrate) is what he’s looking for. 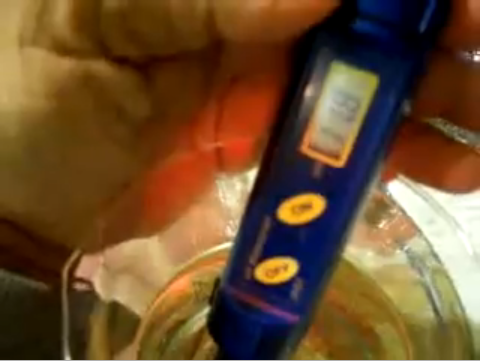 Here he shows the pH of the filtrate. He comments that it’s gone down a little to 11.8. Now he goes to bring the solution down to 10.78 pH. He uses acetic acid. The form of the acid is white distilled vinegar that you’d find in the grocery store. During this process, the ‘coopers pairs’ should start forming. After watching this video, it seems pretty simple. I just might have to give it another try. As a point of reference, I’ve included the process form SubtleEnergies.com below. The steps are nearly identical. The only real difference comes at the end when HealingMindN mentions that it’s a feeling out process from here on out. 1. First, you might want to pour the sea water through a coffee filter to remove any scum. 2. If the starting material does not contain magnesium hydroxide (sea water does contain magnesium hydroxide), add some, or add a teaspoon of Epsom salts per gallon of water. 3. Pour the sea water into a stainless steel pot. Slowly, drop-by-drop, add the lye solution WHILE STIRRING. Every ten drops or so, test the pH. You might want to take at least 3 to 5 samples from different regions of the liquid. If you are using pH paper, the goal is to bring the pH up to 9.5, then stop to be on the safe side. If you are using a pH meter, stop just before you get to pH 10.78. A white precipitate which includes m-state elements will form. CAUTION: You must proceed slowly and patiently so that you do not exceed pH 10.78 with a meter or pH 9.5 with pH paper. If you go higher than pH 10.78, you might get a “Gilcrest precipitate” of toxic heavy metals. It is alleged that the Dead Sea salt water does not produce any Gilcrest precipitate. This has not been proven and should not be assumed. 4. Once you are at the correct pH, stop. 5. Pour the solution into a clean glass jar or test tube. 6. 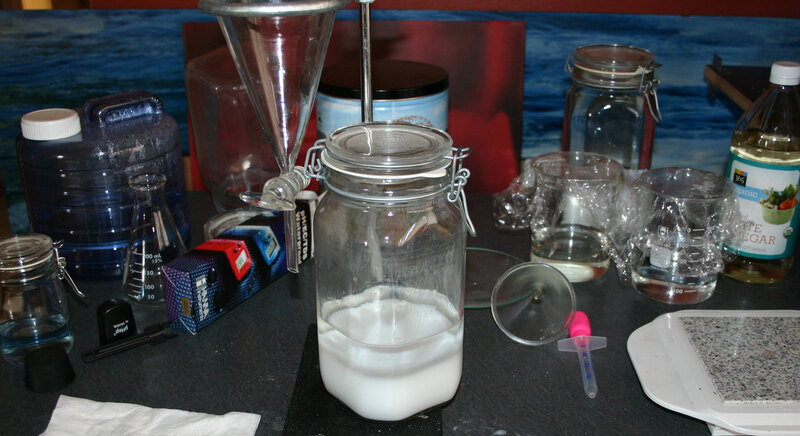 The white precipitate (slurry) slowly settles on the bottom of the jar. Let the slurry settle overnight. If metals or other toxins have been ruled out by prior testing of your starting material, the slurry is probably mostly calcium hydroxide, Mg(OH)2, lye, and a small amount of m-state. You can speed this settling process with a centrifuge, which forces the precipitate to settle rapidly. Inexpensive second-hand centrifuges may be found at American Science and Surplus, http://www.sciplus.com. 7. Using a large syringe (or siphon), remove the liquid above the slurry. 8. Add distilled water to the precipitate (filling the jar), stir thoroughly, and let it settle again for at least 4 to 5 hours, preferably overnight. 9. Repeat steps 7 and 8 at least three times to thoroughly wash the precipitate. This should remove almost all of the lye. The remaining lye can be neutralized with HCl or distilled white vinegar as well. Washing three times is intended to reduce the dissolved “impurities” (like salt, for example) by 87.5%. Four washes would provide a 93.75% reduction, five washes a 96.875% reduction, and so on. 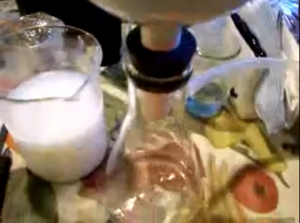 At this point, the precipitate is likely to contain some m-state, milk of magnesia Mg(OH)2, calcium, and perhaps some impurities. Pour the precipitate and water into a stainless steel pot on a stove burner. A gas burner is preferred over electric because any magnetic fields from the electric burner may drive off some of the m-state material. Cover the pot with a lid to contain the m-state, and boil the solution for 5 minutes to sterilize it. Be careful not to spill the hot solution! 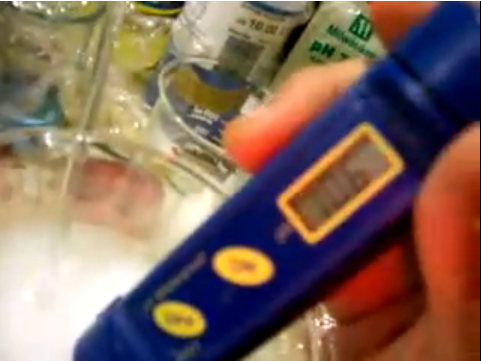 Let it cool back to room temperature and recheck the pH to make sure it hasn’t exceeded pH 9. 1. Boil before adding lye solution. PROS: Faster reaction, faster precipitation. CONS: You may spill the hot lye solution. You may inhale fumes. 2. Boil while adding lye solution. PROS: Faster reaction, faster precipitation. CONS: You may spill the hot lye solution. You may inhale fumes. Danger of lye spurting out of pot. Not recommended. 3. Boil and cool after adding lye solution. PROS: No danger of inhaling fumes. Little danger of spilling hot lye solution. CONS: Slower reaction, slower precipitation. 4. Boil the washed precipitate (recommended). PROS: No danger of inhaling fumes. No danger of spilling hot lye solution. pH is unlikely to change after boiling because the reaction has already taken place. CONS: Slower reaction, slower precipitation. If safety is the main issue, this seems to be the best method. Caution: If you boil the solution on an electric burner, the magnetic field in the burner may “blow off” some of the m-state materials, resulting in a small yield. 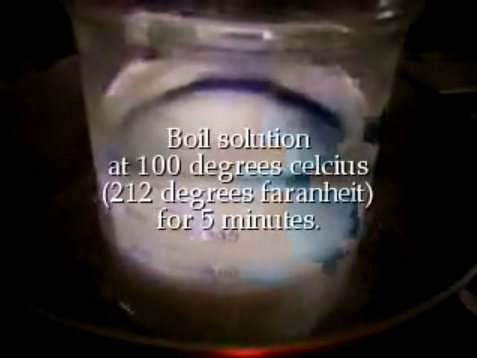 This can be minimized by adding a source of sodium (such as sodium hydroxide or salt) to the solution before boiling. Since sea water contains sodium in salt, none of the boiling methods will be a problem with sea water. However, if you are starting with low-sodium fresh water, add a sodium source (such as table salt or lye solution) before boiling. Once the precipitate and water have been sterilized, the next step is required to concentrate the m-state. 1. Suppose you just made a precipitate by adding lye solution to sea water. 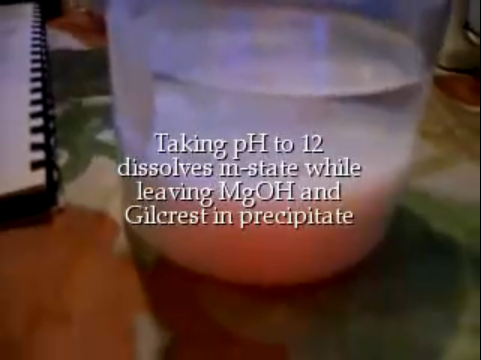 The precipitate is m-state mixed with Mg(OH) 2. Superconductivity in the human body? A few years ago I came across a very interesting video from a man talking about some mysterious white powder gold that seemed to ring true (at some level) with me. I don’t remember the original video (and thus I don’t have a link to it), but here is a link to the first of many YouTube clips that make up the lecture I heard. I have to admit that this lecture sparked my curiosity and a couple years later I’m still researching aspects of what he talked about. If you have the time, well, if you’re here you probably have the time, I’d recommend giving it a listen or reading a transcript or two. If you’re looking for a transcript, the website asc-alchemy has a bunch of them all strung together. You can find them here. We’ve seen what light can do to molecules. Specific wavelengths of light (electromagnetic energy) can elevate electrons into higher orbits that allow for the formation of molecules like sugar. What David Hudson seems to be saying is that a superconducting atom (or atom pair) have electrons that stop acting like normal electrons, but acting like light – or a source of light. Did you know that the way cells communicate with each other is by superconductivity? That the U.S. Naval Research Facility knows that the way cells communicate with each other is by superconductivity? That they have actually measured it using SQUIDS? Superconducting Quantum Interference Devices with a superconducting ring around the body. And they have seen by this procedure that literally light flowed between cell to cell to cell to cell. Did you know that your nerve impulses are not electricity that they travel closer to the speed of sound than they do to the speed of light? And electricity travels closer to the speed of light? Do you know what speed the superconducting wave travels? The speed of sound. This, in fact, is what is in your body that we call the consciousness. It’s what separates you from a computer. This last little bit opens the doors for investigation. The idea that the body could produce a non polar magnetic field, which is the aura, is a bit different then what I’d think it was based upon the body’s ability to break down sugar with releases light (electromagnetic energy) – which might be seen by the correct sensitive equipment. What’s more interesting is that if these superconductive atoms are in our bodies, how might our bodies use them? And, probably more important, if these atoms are light (electromagnetic energy) sources, might some functions within our bodies need this type of electromagnetic energy to function properly? He also makes mention of magnetic fields, electricity and how superconductors can store energy (and release energy). There is mention that to get electricity through a wire, you need voltage. Yet, to get it into a superconductor, you have to apply voltage at just the right frequency. Well, this makes me think just a bit, if superconductors can take or give light and if your body can break down molecules of sugar to release light, might these superconductive atoms act like batteries storing the light? It’s worth thinking about, thus it’s worth posting. I’ll think about this some more to see if there are other ideas I can post about this.